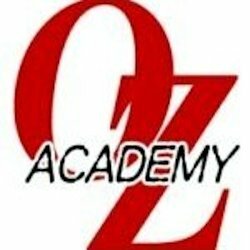 OZ Academy "The Wizard of Oz 2014"
There may be a bit of a learning curve as I get acquainted with some new promotions, so try not to hold that against me. On to the matches! Joined In Progress as Kuragaki picks up Sareee and spins her around in an Argentine Backbreaker. Kagetsu comes in the ring but Matsumoto does as well and she also puts Kagetsu into an Argentine Backbreaker. Sareee and Kagetsu are thrown to the mat and Kuragaki puts Sareee in a single leg crab hold. Kuragaki stomps Sareee in the back and tags in Matsumoto. Kick to the head by Matsumoto but Sareee fires back with elbows. A hard elbow by Matsumoto sends Sareee to the mat, Irish whip by Matsumoto and she delivers a dropkick. Matsumoto picks up Sareee, Irish whip, but Sareee rolls up Matsumoto in a crucifix for a two count. Elbows by Sareee and she applies a waistlock, she throws Matsumoto in the corner and hits a dropkick. Sareee goes up to the top turnbuckle and delivers the missile dropkick, cover, but Matsumoto kicks out at two. Sareee picks up Matsumoto and goes for a suplex but Matsumoto grabs the top rope to block it. Irish whip by Sareee but Matsumoto slams on the breaks and hits a hard elbow. Argentine Backbreaker by Matsumoto but Sareee lands on her feet when Matsumoto throws her off and hits a German suplex hold for a two count. Sareee tags in Kagetsu, elbows by Kagetsu but Matsumoto elbows her back. They trade shots, Matsumoto goes off the ropes but Kagetsu gets her on her shoulders and hits a Samoan Drop. Jumping elbow by Kagetsu in the corner, she goes out to the apron but Matsumoto grabs her as she springboards in and throws Kagetsu to the mat. Matsumoto goes up to the top turnbuckle, Kagetsu goes for a swandive move but she loses her balance and falls out of the ring. She gets back on the apron as Matsumoto gets off the top turnbuckle and onto the apron as well, elbows by Kagetsu and she dropkicks Matsumoto off the apron to the floor. Sareee knocks Kuragaki out of the ring, Sareee and Kagetsu get onto different turnbuckles and dive down onto Kuragaki and Matsumoto. Kagetsu throws Matsumoto back into the ring and hits a swandive missile dropkick, cover, but it gets a two count. Kagetsu picks up Matsumoto and applies a side headlock, Matsumoto goes for a backdrop suplex, Kagetsu lands on her feet but Matsumoto hits a hard elbow for a two count cover. Matsumoto picks up Kagetsu but Sareee runs in and dropkicks Matsumoto. Matsumoto hits a crossbody on both Sareee and Kagetsu, Kuragaki comes in the ring and jumps on Matsumoto's back to give her extra weight as she drops a knee onto Kagetsu. Matsumoto goes up to the top turnbuckle and hits a reverse splash/double knee drop, cover, but it gets a two count. Amano and Nakagawa start things off. Tie-up to start but they break cleanly. Tie-up again, waistlock by Nakagawa but Amano gets out of it and they jockey for position on the mat. They return to their feet after a moment, Amano drives her elbow into Nakagawa's back and throws her down by the hair. Amano chokes Nakagawa in the corner with her boot. Snapmare by Nakagawa and she hits a cartwheel into a kick. Nakagawa tags in Shimoda, and Shimoda throws Amano into the ropes before kicking her in the chest. Shimoda slams Amano's head into the mat and pulls her hair. Kick to the head by Shimoda, snapmare, and Shimoda applies a reverse chinlock. Shimoda rubs Amano's face across the top rope before digging her in the eyes. Shimoda stands on Amano's hands and then stomps on them. Shimoda picks up Amano and wraps her arm around the top rope. Shimoda throws Amano into the corner, Irish whip, but Amano jumps up to the turnbuckle and hits a diving lariat. Amano picks up Shimoda as Nakagawa and Toyota come in the ring as well, and both women hit running strikes in the corner. Toyota and Amano both hit apply arm submissions to Shimoda and Nakagawa, then they hit a double suplex onto Shimoda. Double face crusher by Amano and Toyota to Shimoda, but Shimoda tags in Nakagawa. Nakagawa applies a headscissors to Toyota but Amano comes into the ring and applies a headscissors to Nakagawa. Toyota applies the Mexican Surfboard to Nakagawa, she picks her up and makes the tag to Amano. Irish whip by Amano to Nakagawa and she hits a back elbow. Cover by Amano, but it gets two. Amano pulls Nakagawa to the middle of the ring and applies an elevated crab hold, but Nakagawa gets out of it and tags in Shimoda. Shimoda grabs Amano and jumps down onto Amano's leg. Shimoda pulls on Amano's leg, rubs her hand on her foot and then rubs it in her face. Cover, but it gets a two count. Shimoda applies a stretch submission hold but Toyota breaks it up. Shimoda picks up Amano, Irish whip to the corner, reversed, Shimoda kicks Amano back and rolls her up for a two count. Kick by Shimoda, another cover but again she gets two. Shimoda picks up Amano but Amano hits a single arm suplex. Cover, but Shimoda gets a foot on the ropes. Back up they trade strikes, and Shimoda stomps Amano in the foot. Irish whip by Shimoda to Amano, reversed, but Shimoda hits a jumping lariat. Irish whip again by Shimoda but Amano knocks her to the mat and tags in Toyota. Toyota gets up on the top turnbuckle and hits a missile dropkick onto Shimoda. Cover, but it gets a two count. Kansai and Kong charge their opponents to start the match and throw them out of the ring. They brawl at ringside for a bit until Kong and Shirai return to the ring. Kong hits Shirai in the corner and Kong taunts Ozaki. Chops by Kong to Shirai, snapmare, and she kicks Shirai in the back. Kong tags in Kansai, and Kansai kicks Shirai in the chest. Kansai applies the Scorpion Deathlock but Ozaki breaks it up. Kong comes in to chop Ozaki so Kansai can keep the hold applied, but Kansai releases the hold after a moment and applies a camel clutch. Kick to the chest by Kong to Shirai, and Kong now puts Shirai in a camel clutch so that Kansai can kick her in the chest as well. Cover by Kansai but Ozaki breaks it up with kicks to the face. Knee drop by Kansai to Shirai, cover, but it gets a two count. Kansai tags in Kong, Shirai tries to fight back but Kong absorbs the blows and hits Shirai back down to the mat. Kong picks up Shirai, Irish whip, and Kong hits a lariat. Kong goes off the ropes but Shirai rolls her up for a two count, Shirai hits an enzigieri and tags in iii. A gang of other wrestlers come in the ring too, Kong is thrown into the corner and everyone hits running strikes on her. Ozaki hits Kong in the head with a chair as does one of the interfering wrestlers as the ganging up continues (Kansai is watching from the apron). Kong gets a chair dropkicked into her face but Kong fights back with slaps for everyone and tags in Kansai. Kansai throws Ozaki into the corner and both she and Kong hit lariats. Backdrop suplex by Kong, cover, but it gets a two count. Kansai comes back in the ring, double Irish whip to Ozaki and they hit a double shoulderblock. They wait for Ozaki to get up and go for a double lariat, but Ozaki moves and they run into each other . Ozaki chokes Kong with a chain, Shirai comes in the ring with a pole but Kong catches it and takes it from her. Shirai ducks when Kong tries to hit her and hits her twice with a chair before kicking the chair into her head. Cover but the referee doesn’t count as the chair is kicked out of the ring. Shirai goes up to the top turnbuckle, Kong recovers but Shirai applies a guillotine choke over the top rope. This match is for the OZ Academy Openweight Championship. AKINO goes for a kick but Kato catches her leg and kicks AKINO into the corner. Kicks to the chest by Kato, she gets a running start but AKINO gets up and dropkicks Kato into the corner. AKINO goes off the ropes but Kato catches her with an elbow, AKINO blocks a kick but Kato delivers the scissors kick and hits La Magistral for a two count. Backslide and a small package by Kato, but both of those get two counts as well. Dropkick by Kato, as AKINO lands out on the apron, and Kato kicks AKINO down to the floor. Kato goes out to the apron and hits a cannonball off the apron down onto AKINO. Kato picks up AKINO and slides her back into the ring, Kato puts AKINO into the corner and hits a rolling senton. Kato goes up to the top turnbuckle as AKINO gets up and hits another one, cover, but it gets a two count. Kato picks up AKINO but AKINO hits a jawbreaker. Elbow by Kato but AKINO fires back with her own elbow strike and the pair trade blows. AKINO gets the better of it, she picks up Kato and hits a backdrop suplex followed by a dropkick. Kato falls out of the ring, AKINO gets a running start in it and hits a plancha down onto Kato. AKINO slides Kato in the ring, she then goes up on the top turnbuckle and hits the missile dropkick. Kicks to the chest and back by AKINO, she goes off the ropes but misses the big kick and Kato rolls her up for a two count. Kick to the side of the head by Kato, she goes off the ropes but AKINO stops her with a high kick. Kato fires back with a kick of her own but AKINO returns the favor. Best Match: Kagetsu and Sareee vs. Tsubasa Kuragaki and Hiroyo Matsumoto. Even though it was very slightly clipped I just thought it was more entertaining than the main event. Kuragaki played her part very well and they kept the pace going. Nothing that will set the world on fire but really solid from start to finish. MVP: AKINO. I mean I had to pick one. Unlike her opponent, at least AKINO kept her big move in her pocket until the end of the match, and then won the match once she hit it. I wasn't blown away by the match but AKINO as the champion acted like one and was crisp from start to finish. Overall: The big issue here is with only five matches, at least one of them really needs to deliver, but none of them did. The opening and the main event were both very solid but the ones between it were not. Plus it generally is not a good sign when the best match is the clipped opener. Not a totally worthless show since there were a couple good matches, but overall quite missable.